While Clave might not have many songs under their wing, the ones they do have are impressive. Formed in 2015, Clave are one of the very few soul funk bands in the city. “DAHLIA” takes cue from Japanese city pop as much as the jazzy pop rock of Western equivalents such as Steely Dan. Definitely a band to keep an eye on. Part of a series of songs that features different females on vocals. “Don’t You Know” sets things up perfectly, catchy synths and a delectably groovy beat provide the perfect background for guest singer Sophy to shine through. Delivering lines on love, lust, and pain, the song is further brought to life by Sophy’s use of ad-libs. Dusty Bottle on Facebook, Instagram. Diagnosed with bipolar disorder in 2013, multi-talented singer songwriter Ellen Loo has fought long and hard with the illness. “Wasteland” is the songstress’ last piece of work before she ended her life in mid of 2018. Produced by longtime collaborator Jason Choi, the song is probably Loo’s darkest track to date, built on a simple acoustic guitar backing, the somber tone is accentuated further by the addition of ominous synths and sparse electronic beats. An emotionally charged swan song that will forever be a reminder of Loo’s immense talent. She will be dearly missed. Ellen Loo on Facebook, Instagram. A cover of a Hong Kong children song from the 90s, the unassuming track is rendered beautifully by acoustic pop duo Lil’ Ashes. Polly’s voice particularly shines through, reminding one of the sweet vocals of Grace Yip of the original. However, the true brilliance of this rendition is perhaps in its choice of cover and lyrics, “Where” is a children song written for adults, dealing with adult themes (unfulfilled expectations and ecology destruction) disguised in a sugar-coated exterior. For those that grew up with the original, this version is essential. Lil’ Ashes on Facebook, Instagram. Taking this track’s name from a Taoist funeral ritual that helps wandering souls crossover, local rap veteran MastaMic has shaped it as a metaphor for the state of hip hop in Hong Kong. “Funeral Ritual” opens with a marching drum beat that gives way to a chorus that is obviously inspired by ritual chants. A glorious East meets West diss track that is a fitting match to its cryptic namesake. MastaMic on Facebook, Instagram, Twitter. Singer-songwriter Panther Chan has had trouble finding her own footing since taking her music career seriously in 2015. Luckily, that changed with the release of four new tracks in 2018. Chan feels reinvigorated with a new sense of purpose and direction. Nowhere is this more evident than on the track called “Panic”. Channeling some fiery 90’s grunge rock à la PJ Harvey and Courtney Love, the track is a big slap in the face to anyone who’s ever doubted her. Panther Chan on Facebook, Instagram. Room307 is the moniker for Alexxes Chan, a bedroom dream pop newcomer that released his eponymous album “Room307” in September 2018. While the sound featured here isn’t anything you haven’t heard before, it’s nonetheless a refreshing take on the genre. A promising start that hints at things to come. 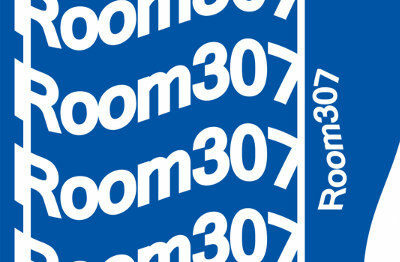 Room307 on Bandcamp, Facebook, Instagram. Going independent in 2016, longtime rock mainstays Rubberband returns in 2018 with their long anticipated full-length album “Hours”. Leading single “See You in the Future” is an epic power ballad that was inspired by the bittersweet relationship between two personal acquaintances of lead singer No. 6. The track also doubles as a heartfelt homage to the people who have supported the band over the years. Stranded Whale is an alternative folk-rock band from Hong Kong, made up of members including prolific singer-songwriters Tomii Chan and Jabin Law. Championing the melancholic and introspective, one needs not look further than “Politically Correct”, a cut off their second album “The Revival” released in October. Like the best work from folk rock greats such as Sunny Day Service or Wilco, “Politically Correct” is simple and effective in its approach, relying on a brilliantly sorrowful guitar arrangement to carry out the weighty subject matter — economy of style at its best. Stranded Whale on Facebook, Instagram. Psychedelic folk musician Wong Hin-yan is a rare breed of artist in Hong Kong. Active not only musically but socially as well, his music is a direct reflection of his free spirited and challenging persona. “The Drunkard” is a track directly inspired by the novel of the same name by Liu Yi-chang. A landmark piece of writing that is considered the first piece of Chinese stream of consciousness literary work. Wong distills the literary narrative into music beautifully.